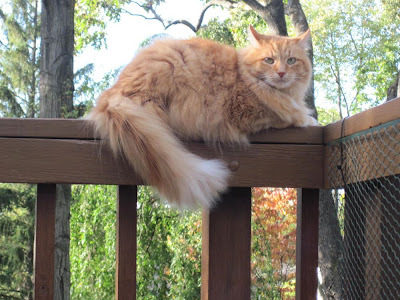 A Tonk's Tail... err, Tale...: Shutterfly Winner! The drawing was dutifully executed with extreme feline oversight. And the entire process was documented on video. Reeeeally BAD video. See what we mean? Congratulations to Simba - and thank you to everyone who participated! Oh gosh! We just checked our blog reader and saw your post very soon after you put it up so we are the first ones here! Allie, thank you so much for choosing us! We are beyond excited. Between pictures of us and pictures or book(s) of the Baby Grandchild, the Shutterfly cards will be put to very good use. Lol Faraday use those claws! Who needs scissors? Congrats to the winner! Well done Simba. Have a terrific Thursday. Concats to Simba. Er, Allie, I thought we were furrends and all. concats to dear sweet Simba! Concatulations to Simba! Man, it took you kitties long enough to pick a winner! Congratulations Simba! Good work doing the drawing kitty! Hooray for our pal Simba! Why do w always have to do the humans' job? Ah!